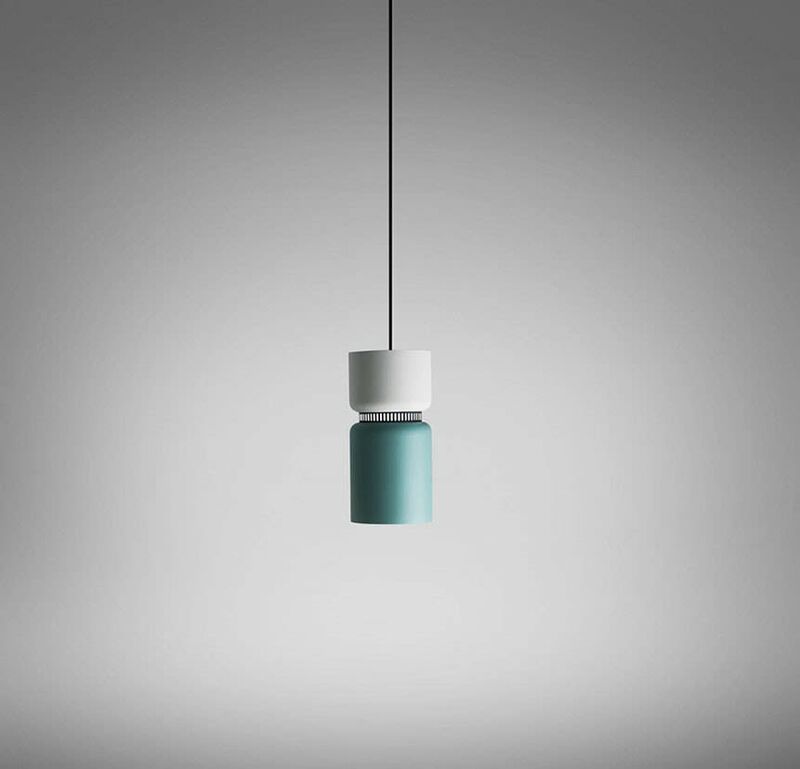 Double-shade suspension lamp, available in three sizes. Direct and diffused light. Matte lacquered finishes, with different combinations: grey, snow, lemon, mango, clear turquoise, and aqua. Black cable. Aspen S40 LED includes dimable equipment. Innovation based on form and the use of new materials are two of the hallmarks of designer Werner Aisslinger (Berlin, 1964). In fact, the application of new technologies has allowed him to pioneer the introduction of new materials in the world of product design, such as polyurethane foam, a material he used in the manufacture of the Hoodie lamp by B.Lux, presented at the Euroluce lighting show 2013. Aisslinger has also created another unique and attractive collection of lamps for B.Lux, called the Tree Series. In the field of furniture design, he has collaborated with leading brands, such as Capellini, Porro and Vitra. Many of his designs have garnered prestigious design awards, such as the Compasso d’Oro award in Miland, and the Red Dot Award.